Whoa! 2015 was a fun, busy and crazy year. When the year started, Adalyn was only 3 months old. Now, she is a walking, talking (baby babble), fun little girl. So much has changed in the matter of one year. We went to 4 different weddings. A baby was born in the family. Best of all, we spent tons of time with family which is the best thing that I could ever ask for! January- We rang in the new year at my house with a little party. It was different than our usual plans of going out to a hall but I really enjoyed it. Adalyn was baptized which was beautiful. February-May- To be honest, I do not remember much of what happened during these months. Lots of sleep deprivation I guess- haha! It was a super cold winter in Michigan so we stayed bundled in the house a lot. I got to celebrate my first Mother's day which was awesome. Troy made my a nice breakfast and then we went to church and out to eat with family. April- Adalyn celebrated her first Easter which is also my favorite holiday! June- Troy finished the school year and we took a trip to Saugatuck! We went on a boat trip on the Clinton River for my parent's anniversary. June-September- We had the best summer of my life. Troy was off of work and took care of Adalyn all summer which he loved (and we both miss). We packed our Wednesdays full of fun plans since I have that day off of work. We went to 4 weddings of our cousins which were all beautiful and a blast. Troy and I celebrated 6 years of marriage and got to go out on a great date while Dad watched Adalyn. We went to the zoo a lot, Belle Isle, our local pool, several splash pads and more. I literally cannot wait until next summer! We went to Cedar Pointe and rode on a ton of roller coasters. September- Adalyn turned one year old! We had a party for her with our closest family members and it was just perfect. Troy's first cousin got married and we had family in town from Mexico- some that I had never met. 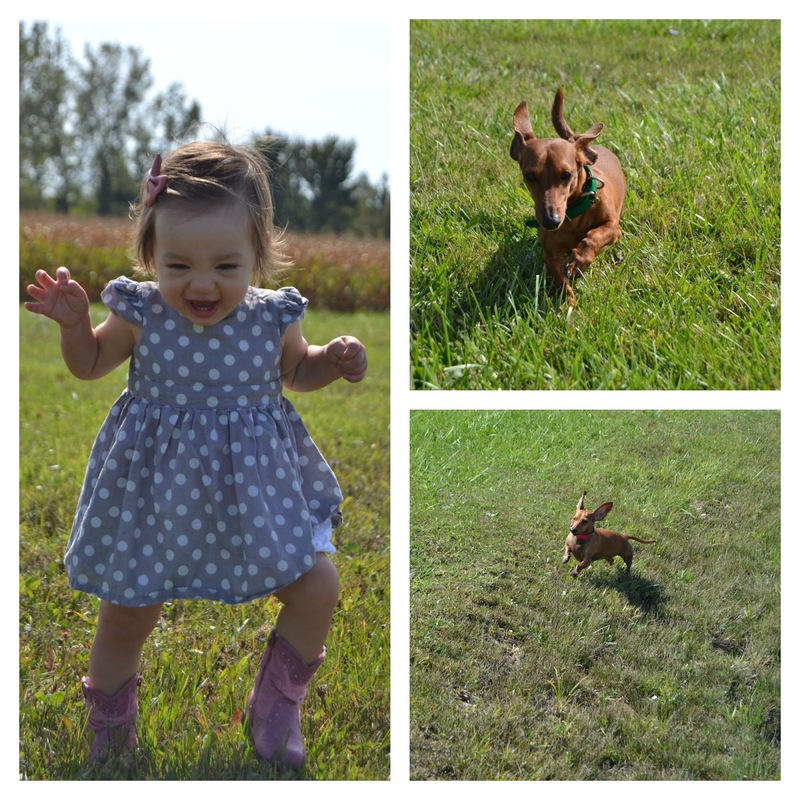 August-October- We spent quite a few weekends at my parents farm which we always have a blast at. Lots of nature walks, fruit picking, swimming and time with family. October- Adalyn went trick-or-treating for the first time and we all had so much fun. This month was crazy and I had 3 blog trips (Michigan apples, Meijer and Michigan Agriculture) this month where I learned a ton and met other bloggers. I also went to a United Dairy Institute of Michigan trip to Kalamazoo in September. It was a busy but fun fall. November- I turned 26! We celebrated my dad's birthday. Troy went hunting at the farm. It was an awesome year and I cannot wait to see what the future brings! I love my life!